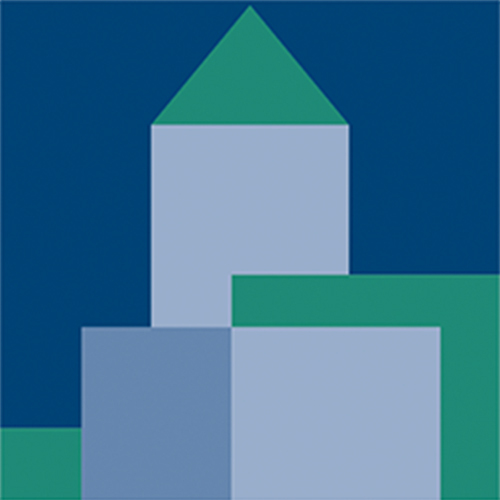 Since 1998, MassDevelopment and the communities we serve have had a lot to celebrate. We’ve chosen key moments that mark 20 years of transformative growth. Follow along on Twitter using #massdev20 and continue to visit this page for additional highlights. 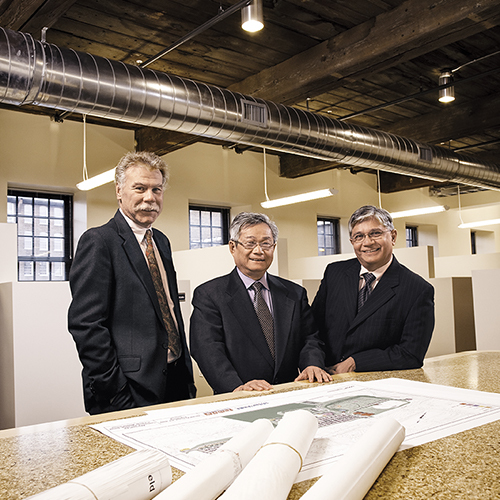 A merger of the Massachusetts Industrial Finance Agency and Government Land Bank creates MassDevelopment, kicking off a new era of economic development. 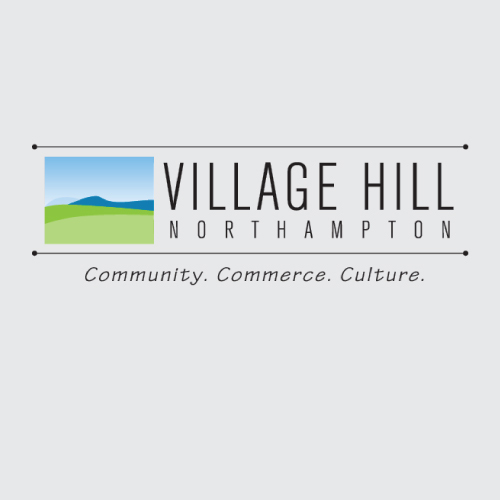 In partnership with The Community Builders, MassDevelopment acquires the former Northampton State Hospital and begins redeveloping it into Village Hill Northampton, a 126-acre master-planned community. 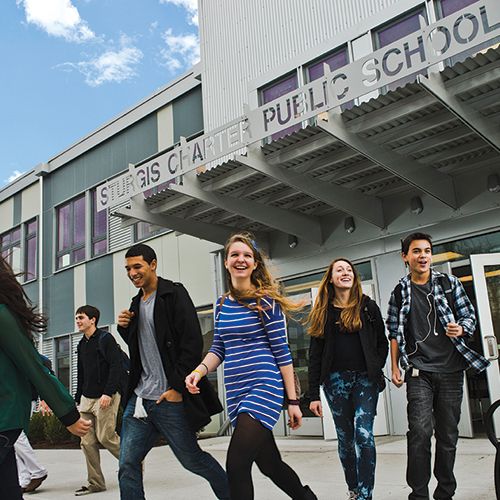 The U.S. Department of Education and other non-federal sources including The Boston Foundation, Local Initiatives Support Corporation, and MassDevelopment, provide funding for the Charter School Loan Guarantee Program. 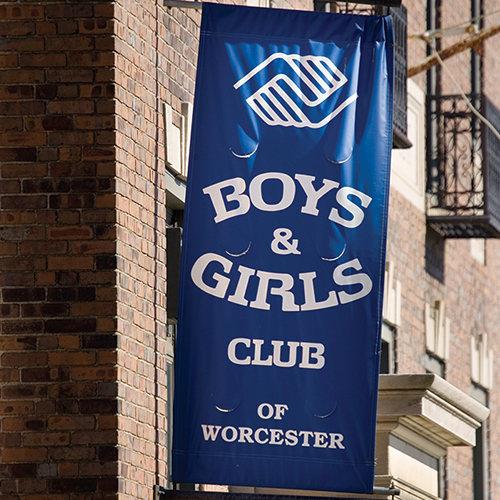 Working closely with the city of Worcester and various downtown constituencies as part of an inner city revitalization effort, MassDevelopment helps to fund a new Boys & Girls Club with a $5 million tax-exempt bond. The new building replaces the current facility that had stood since 1914. 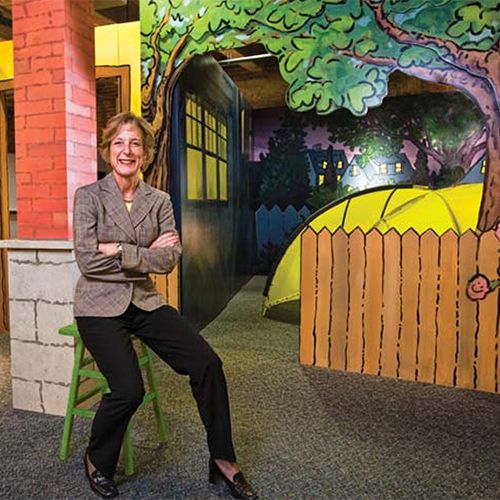 MassDevelopment provides a $30 million financing package to the Boston Children’s Museum for construction of a 23,000-square-foot addition for a new theater, exhibits and more. 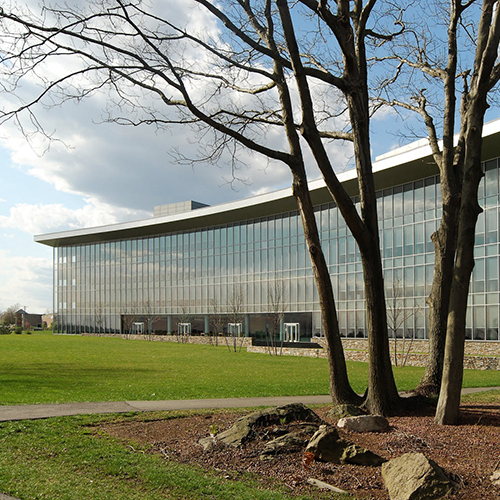 MassDevelopment’s development project to turn the former Kerr Mill into a technology-focused business park results in Meditech, a leading software vendor in the health care industry, purchasing the final 12 acres for a new facility bringing 500 jobs to Fall River. MassDevelopment works with the Massachusetts Housing Investment Corporation (MHIC) to provide a $2.07 million loan for the purchase and renovation of an abandoned mill building in Lowell for Nobis Engineering. 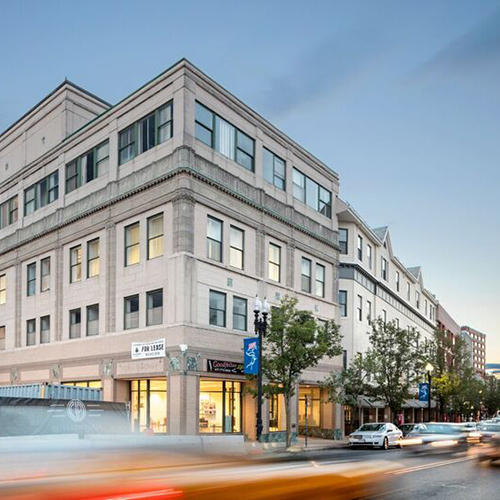 MassDevelopment purchases 1550 Main Street in downtown Springfield from the U.S. General Services Administration and proceeds to undertake a comprehensive rehabilitation project to improve the building's public spaces and circulation, and generate new jobs. The Taunton Development/MassDevelopment Corporation forms to realize the full potential of the Myles Standish Industrial Park by remediating and redeveloping the former Dever School on a 220-acre neighboring parcel. 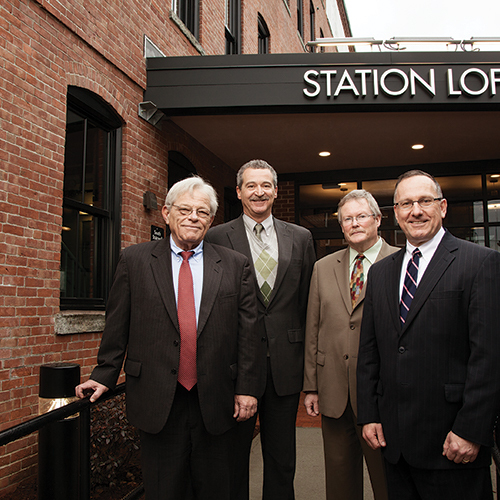 Capstone Communities receives a $1.1 million loan from the Brownfields Redevelopment Fund and a $4.8 million tax-exempt bond to transform a historic industrial building in downtown Brockton into residential loft space. 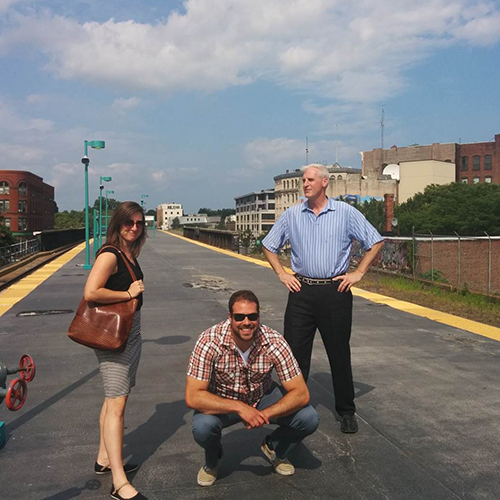 MassDevelopment designates three Transformative Development Initiative [TDI] Fellows to work in Haverhill, Lynn, and Springfield to help build on local planning efforts and add capacity for redevelopment. Governor Baker announces the launch of the Massachusetts Innovation Bridge, a partnership between the Commonwealth and The MITRE Corporation to help the federal government connect with leading thinkers and innovative technology. 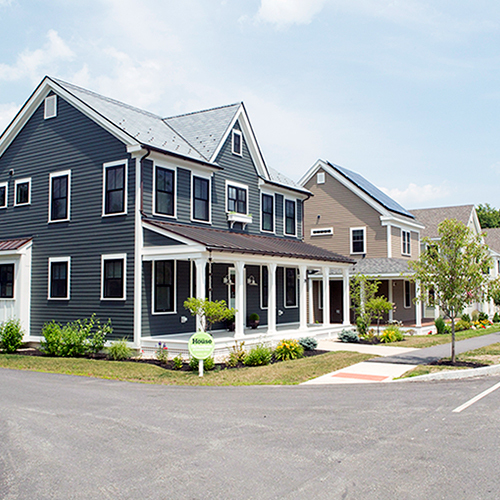 Emerson Green, a new 128-unit subdivision in Devens, debuts its “idea house” on the TV show “This Old House”. 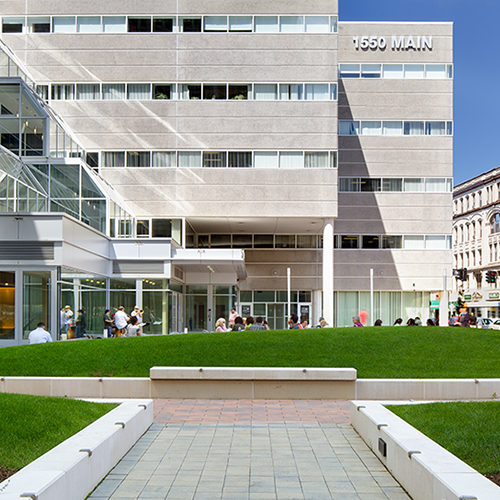 MassDevelopment celebrates the official opening of its new Greater Boston Regional Office at 1515 Hancock Street in Quincy. 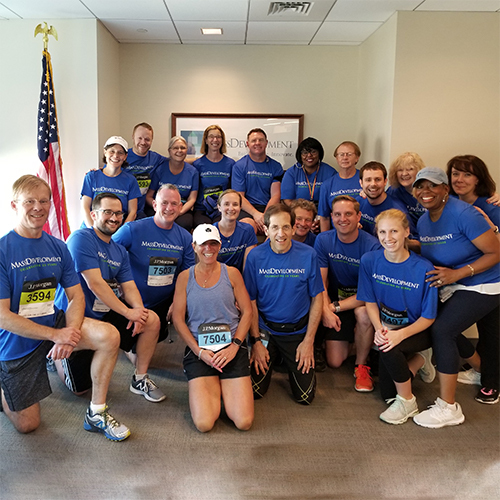 MassDevelopment enters a team in the J.P. Morgan Corporate Challenge for the 10th consecutive year.